Master Lock® Rotating Gate Valve Lockout - Fits Handle Diameters 1" to 3"
Item Number: 810-480 18330 Actual Weight: 0.2 lb. 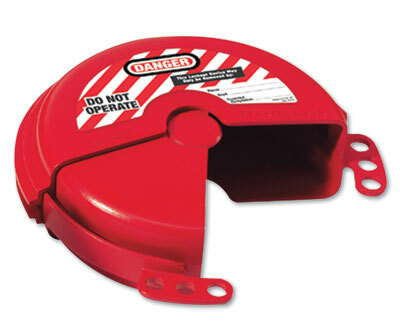 Provides protection against accidental valve opening. Ideal for use in tight spaces and for insulated pipes. Rotating design makes installing in confined spaces easier. Multiple workers can apply their lockout hasps or safety locks. Padlocks sold separately.